A new testimony from a wonderful couple who I had the pleasure of supporting! 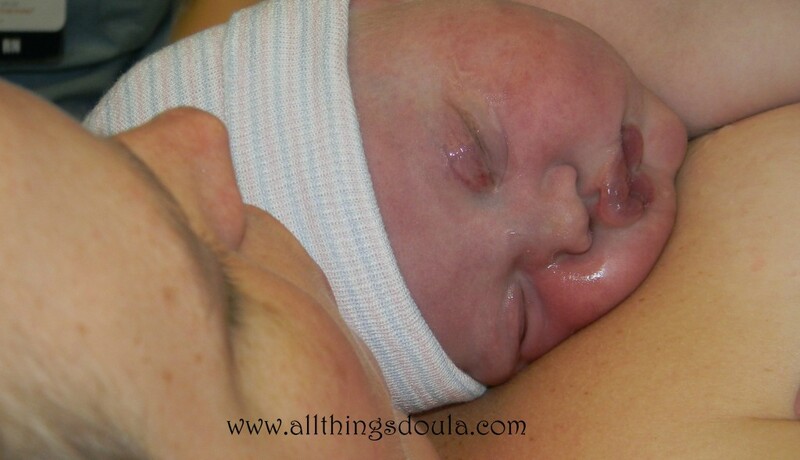 When I first found out I was pregnant I knew that a doula was a must. 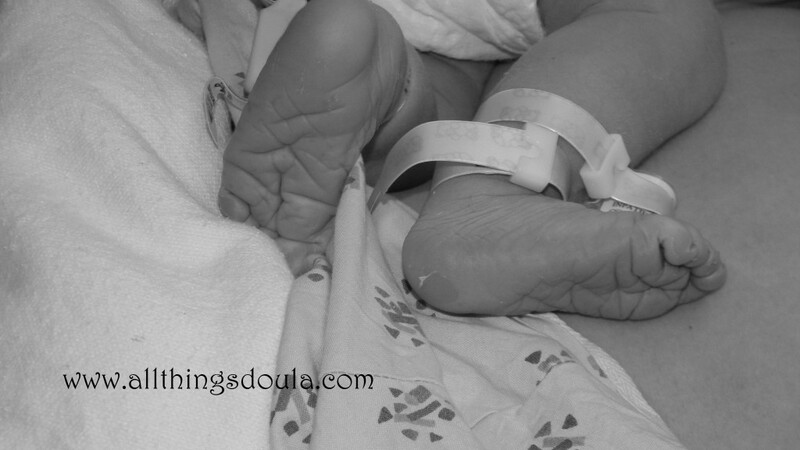 The decision to hire a doula is one each makes for their own reasons; and in our case, we had several. Personally, I wanted to have a completely natural childbirth and as such a doula is an almost must. I also knew that since this was our first birth experience we would need someone to help us make informed decisions during a time of confusion, excitment, and pain. Sarah helped tremendously with all of this. From preparation, to answering questions/text messages at sporadic times leading up to labor, to helping us make the right decisions for us at the time of birth. Perhaps our most important reason for hiring Sarah, and one that does not seem to get much mention, is to have someone there to help my husband during the labor process. As difficult as it is for women to be in labor, it is a significantlay different and in many ways more intensely difficult for the partners who love us to watch us go through pain and suffering. As my husband put it “Watching you go throug those contractions was awful. I wanted so much to help you and felt like there was nothing I could do. I remember the moment Sarah walked through the door. I immediately sighed in relief. Honestly, I don’t know what I would have done without additional support like Sarah during this intense time.” This was especially true considering we are relatively new in town and our family live hundreds of miles away. Thank you Sarah for helping to support us in making the difficult decisions and for being with us physically and emotionally during this painful yet oh so beautiful time of childbirth.